Carolyn “Carol” Sue Shell (Hines) passed away unexpectedly on June 23, 2018, at Saint Luke’s Plaza Hospital Heart Institute in Kansas City, MO at the age of 69 years old. She had been hospitalized after suffering a major heart attack the previous week. Carol was born on October 14, 1948 in Keystone, WV to Mack Hines and Myrtle Hines (maiden Myrtle May). She was the oldest daughter of eleven born to Mack and Myrtle. Carol married Bueford Shell, Sr. in Carroll County Virginia on June 15, 1979. Carol and Bueford had four children together and raised their family in the Pineville, WV area. Although Carol had recently relocated to Platte City, MO to live with her daughter after Bueford’s passing this year, she spent the majority of her life in WV to include but not limited to Keystone, Pineville, and more recently Whitesville and Marlinton, WV. Carolyn Sue Shell is survived by her children: Christina Davenport and her husband David Davenport, Bueford Shell, Jr. and his wife Lena Shell, Angela Webb and her husband Quincy Randall Webb, John Shell and his wife Jessica Shell; her grandchildren: Emily Davenport, James Davenport, Jacob Davenport, Adam Davenport, Travis Davenport, Katie Brooks and her husband Michael Brooks, Mindy Haga and her husband Brian Haga, Levi Shell, Joel Cannady, Scott Webb, Troy Webb, David Webb, Hayden Adkins, Keyera Adkins, Amber Shell, David Shell, and Stephany Bradley; her siblings: Robert Hines, Mike Hines, Kerry Hines, Dale Hines, Lois Jessee, Linda Wright, and Brenda Cordle. She is preceded in death by her husband Bueford Shell, Sr.; her siblings: Mack Hines, Jr., David Hines, Larry Hines; her parents; and granddaughters Crystal Bradley and Marsha Adkins. Although Carol spent the majority of her adult life as a homemaker and mother to her four children, as the children got older she did begin working outside the home doing what she did best, caring for others. She worked for several years in the southern WV area as a home health care giver to individuals in need through private employment and her work with the Council on Aging. Carol was an active member of her local church for many years of her life up until her health limited her participation. 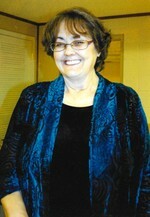 She played an active role serving as Treasurer, Teaching Sunday School, and traveling for outreach ministries. Even when not being able to attend church due to her health conditions Carol loved spreading the word of Jesus Christ to anyone and everyone that came in contact with her. A memorial service is scheduled for July 7, 2018 at 11 am at Harvest Center Ministries, 749 Welch-Pineville Road Pineville, WV 24874. All are welcome to attend and celebrate Carol’s life. In lieu of flowers, please send donations to St. Jude Children’s Hospital. To send flowers to the family of Carolyn Sue "Carol" Shell (Hines), please visit our Heartfelt Sympathies Store.